Myth – You need to be strong to join CrossFit. Fact – You can be a complete beginner and the trainer works with you slowly to bring strength and endurance. Just like you can’t do a half marathon after doing your first 5km, you aren’t expected to do pull ups, rope climbs, push ups etc. Everything is done in progression and scaleable, if you stick it out. For example, if the workout calls for squats with weighted bars, each individual would be doing different weights depending on their readiness levels. Myth – You will injure yourself. Fact – You can injure yourself while running (ask me! ), cycling, in the gym or even while sitting on a couch. At a good CrossFit box, they will tell you the right techniques to perform various exercises, at the same time you need to know your body and push it only that much. Fact – Like any other recreational sport that you take up for fitness, you only compete with yourself. No one pushes you to do anything you aren’t comfortable with. Much like running, it’s a well-knit community and everyone encourages and cheers the others till the very end. 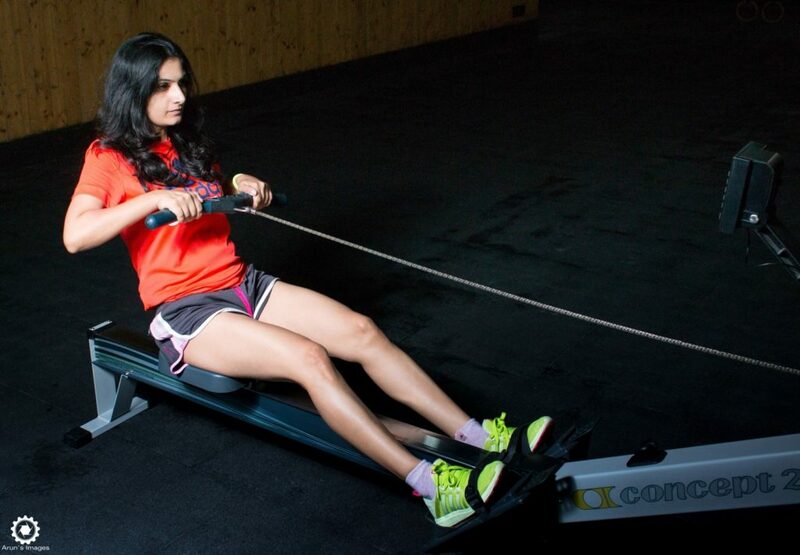 Fact – CrossFit helps in gaining strength and muscle which is required for good health. It’s not easy for women to bulk up. It’s an excellent way to get stronger, fitter, and leaner. Fact – If you are working out then good eating habits come naturally. It’s not necessary for you to go on any specific diet. Eating better and what works for you is what matters. Fact – It’s tad bit more expensive than a good gym. But there is high level of coaching, involvement and individual attention even during group sessions. It’s an investment and at times the we end up spending the monthly fee on two good dinners. Fact – CrossFit isn’t a chain. It’s a brand. “Every CrossFit gym is independently owned and operated without intervention from the actual company of CrossFit. Each gym pays a yearly fee to be an affiliate of CrossFit and use the name.” Choose your box carefully after a couple of trial sessions. I haven’t tried mixing running and CrossFit workout yet. So I will write more about it once I figure a balance (or don’t). Till then I will enjoy my “WODs” (workout of the day!). P.S. It’s very important to get an overall medical check up done before starting any new or high intensity workout routine. So true Anupriya!! I swear by Crossfit and for me it’s not a gym, it’s a lifestyle. I can gladly claim to be a Crossfit lover. I have been instrumental in converting and have seen the transformation in almost all of them, to that way of life and all of them thank me for it today. It’s something you just get used to and never ever want to leave it again or ever go back to a normal gym. Great post. You completely nailed it by bursting the myths & facts of crossfit exercises.